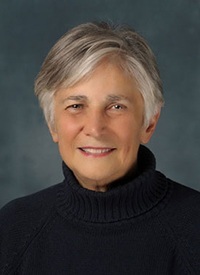 In this exceptionally powerful and concisely written 8/5/14 post (see here),Diane Ravitch alerts readers to the wide range of documentry films that help to expose the soft underbelly of the corporate educational reform movement. I join with Diane in urging the showing of these films at PTA meetings, churches, and commmunity centers, so that an informed public can begin to engage in genuine debate on these vital issues. Those who follow the twists and turns of the “reform ” movement are aware of a growing number of books that exposé the false narrative of reform. The reform narrative is funded by billionaires and philanthropists who believe in the free market and scorn government regulation. It fastens on genuine problems–like the low performance of children who live in poverty–and blames their teachers rather than the poverty that limits their opportunity. The reformers divert their eyes from poverty, segregation, budget cuts, and loss of vital services. What began, arguably, as a well-intentioned effort to shake up schools and unleash innovation has now become a vehicle for privatization of the public schools. The struggle to save public education will require an informed public. Only an informed public will have the motivation to vote for representatives to defend what belongs to the entire community and to stop the headlong rush to consumerism. Fortunately, teachers and other educators are publishing books to tell the story. The blogosphere and social media have become invaluable means of democratic communication, enabling dissenters from top-down reform to meet and exchange ideas and information. Videos are appearing too, to get the story to the public. It is not easy for them to get on television or to be distributed commercially. Unlike the charter propaganda “Waiting for Superman,” or “Won’t Back Down,” the films that exposé the dark side of the testing and privatization movement do not have the support of billionaires. Here are a few of the recent must-see videos that challenge the corporate reform movement. Vicki Abeles’ “Race to Nowhere” (see here) makes the case against high-stakes testing and shows how it distorts the lives of adolescents. Abeles has taken the film to churches, synagogues, community centers across the nation, wherever she can show it. The film “Rise Above the Mark” (see here) was written and produced by educators in West Lafayette, Indiana. It shows what high-stakes testing is doing to the children, teachers, and schools. It is a powerful film. Daniel Hornberger’s “Standardized” (see here) shows how standardized testing is ruining education. The subtitle is, fittingly, “Lies, Money, and Civil Rights: How Testing Is Ruining Public Education.” It includes interviews with prominent educators who denounce the standardization that is now imposed by the federal and state governments. One of the first videos was released in 2011. “The Inconvenient Truth Behind ‘Waiting for Superman'” (see here), depicts the battle in New York City against corporate education reform, with parents and teachers fighting fruitlessly to save their schools from closure against an unhearing mayorally-controlled board. The film was created by a team of teachers and parents called the Grassroots Education Movement. There are others, and I welcome readers to submit additions to this list. And more are on the way. Help me compile a list of videos that challenge the dominant narrative that fills the airwaves and is destroying public schools, hurting children, dissolving communities, and opening new frontiers for corporate profit. Many of these films are online for free or the producers will send a video for a nominal fee. Consider showing these films at your next parent and/or teacher meeting. Be informed. There can be no democratic debate when only one side can afford to present its views on television and in commercial films. Possibly the strongest way for anti-testing/anti-charter activists to fight back is to make everything as easy as possible for those who need to learn about education issues. I have personally read hundreds of wonderful articles and many great books on the subject, but I don’t think this method of tracking information reaches the masses. Video — and the use of social media — may be the best answer.